This talk explores the ways women used midrash to create a new narrative, advancing equity for women in Jewish spaces from the mid-1800’s to the present. 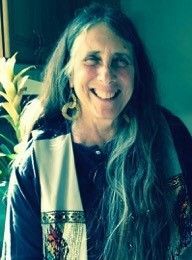 Lynn Gottlieb one of the first women to become a rabbi in Jewish history, is a pioneer Jewish feminist, peace activist, writer, visual and mural artist, ceremonialist, community organizer and master storyteller. She founded Congregation Nahalat Shalom in Albuquerque, NM and Community of Living Traditions at Stony Point, NY. Currently Lynn serves as Director of Youth and Family Programming at Chochmat Halev, chair of the board of Interfaith Movement of Human Integrity, and Freeman Fellow with The Fellowship of Reconciliation. She is author of Peace Primer II; She Who Dwells Within: A Feminist Vision of Renewed Judaism; Trail Guide to the Torah of Nonviolence; and World Beyond Borders Passover Haggadah, which she illustrated. Lynn has performed her work at the Public Theater in NY, The Mark Taper Forum, and throughout North America, the Middle East and Europe since 1973. Lynn has lead frequent peacebuilding delegations to Israel and Palestine as well as interfaith peacebuilding delegations to Iran in 2008 and 2009. She cofounded Shomeret Shalom Global Network with Jews committed to nonviolence as a spiritual pathway.